Sandra McLeod arrived in New Zealand as a child, with her British family. It was 1954. But the family's hopes for a new and better life faltered in the raw timber town and at sixteen Sandra fled. All she took with her were numbness and denial. Fifteen years later, a letter arrives and Sandra, now a successful real estate agent, knows she must go back. Back to her mother's vacant eyes and the secrets of the McLeod family. Back to unpick her past and to learn about loss, grief, mothering — and perhaps a chance of finding home. Set in Kawerau, a small town on the volcanic plateau, this poignant novel explores the cost of migration and what it means to find deep connection with place. "It really had an impact on me." 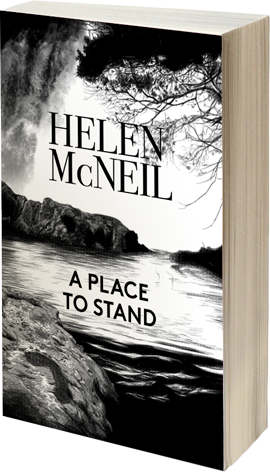 ‘Helen McNeil’s story, set in Kawerau during the 1950s when the town is being constructed around the mill, is uniquely New Zealand. The main character, Sandra McLeod, arrives as a child from England with her ‘£10 Pom’ family, but their new life isn’t what they’d hoped it might be. Via flashbacks recalled by Sandra when she returns to Kawerau to visit her ailing mother in 1975, Helen McNeil skilfully describes the gradual disintegration of the McLeod family in realistic, evocative and sometimes gruelling detail.